Quezon City is Metro Manila’s biggest city, both in land area and in population. It was named after President Manuel L. Quezon, who dreamt it would replace Manila as the Philippines’ capital. It did serve as the nation’s capital from 1948 to 1976, and many government offices are here, including the House of Representatives. The country’s two top universities are here: Ateneo de Manila University, and the University of the Philippines. Quezon City is divided into several neighbourhoods. Although mostly residential, Diliman is the location of several government offices and hospitals. Quezon Memorial, erected in memory of President Manuel L. Quezon, stands in the middle of the elliptical road around which there are government offices, including the city hall housing the office of the Mayor of Quezon City. The most important institution in the area is the University of the Philippines, which has its main campus here. Commonwealth, north of Diliman, has many middle-class residential areas, and also several areas where the urban poor live. Poor, middle-class, and rich communities live practically side by side in Balara. 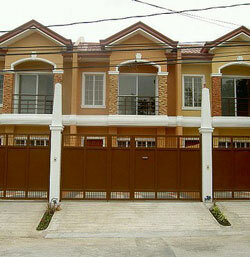 There are wealthy gated subdivisions such as Capitol Hills Subdivision, Ayala Heights, and Ayala Hillside Estates. Nearby is the popular Capitol Hills Golf and Country Club. The University of the Philippines campus in Diliman is right beside Balara. Many Filipino women were involved in the independence movement, and one of the most revered was Melchora Aquino. Already 84 when the Revolution broke out, she became known among the revolutionaries by the affectionate nickname “Tandang Sora” (“tanda” means old) when she hid them in her home and tended to their injuries. Despite her great age, the Spaniards arrested and then exiled her. She was able to return to her home after the revolution, and lived to 107. This is where her home was, and the area was named after her. Tandang Sora is not a prestigious area, but it is conveniently located, being close to Quezon Memorial Circle, Quezon City Hall, the University of the Philippines, and the SM North Edsa and Trinoma malls. Loyola Heights connects Marikina City to Quezon City. The junction of Katipunan Avenue and Aurora Boulevard is a very busy intersection, as residents of areas beyond Marikina get their rides into other parts of Metro Manila from here. Traffic jams in the area were legendary before the establishment of the light rail transit decongested the area to some extent. Traffic can still be a problem here, however, especially during the morning rush hour. The Ateneo de Manila University and Miriam College campuses are in Loyola Heights. The University of the Philippines campus in Diliman is close by. Cubao was the commercial and business heart of Quezon City in the 1980s. Since then, it has languished, but recently has been undergoing a kind of renaissance. Several malls have gone up in the area in recent years and helped revitalize the district. Cubao’s most well-known institution is the Araneta Centre and Coliseum, which is seedy and old-feeling and long Quezon City's main entertainment venue. Fans of basketball, the Philippines' most popular sport, watch the major local tournaments here. It is also used for boxing matches, and concerts. Cubao is primarily a residential area, although there are a handful of factories and warehouses. Rush hour traffic can get very congested around the EDSA intersection, and you can also often expect long queues at the Cubao light rail station. The wide thoroughfares Timog Avenue and Tomas Morato make up Quezon City’s restaurant row. This area started out mainly residential, but because of its central location and the offices and studios of two broadcast networks, it has become a place full of restaurants, bars, and clubs, alive till the wee hours of the morning. The northernmost districts of Quezon City are Novaliches and Fairview. There is still land being developed in this part of the city. Novaliches is Quezon City’s largest district in terms of land area and population. New Manila is a fairly affluent, if unfashionable residential area established in the 1950s and ’60s. A number of old Manila’s residents moved here. Some of the older houses are enormous. There are still many large houses, although others have been torn down to give way to newer townhouses. There are some gated subdivisions with newer housing as well. New Manila is beside E. Rodriguez Boulevard, a major road lined with service-oriented businesses and fast food places, as well as the Trinity University of Asia, St. Joseph's College, and the St. Luke's Hospital and College. New Manila is also just a short drive away from such key points as Timog Avenue, Cubao, and the Greenhills Shopping Complex along Ortigas Avenue. Sta. Mesa Heights is a favourite with the Filipino Chinese, because the area looks like the tail of a dragon. Many middle-class and upper-middle-class families live here, and it is largely residential. An independent town during Spanish times, San Francisco del Monte’s hilly terrain made it ideal as the summer retreat of Intramuros inhabitants. Today, it is an unremarkable residential/commercial area. This mainly residential area shares its borders with the City of Manila. The SM Centrepoint shopping mall is located here. The LRT-2 has one of its stops in this area. Quezon City has several lower-middle-class residential areas that were developed during the terms of presidents Quezon, Quirino and Marcos. Eight areas known today as Project 1 up to Project 8 are scattered around the city and were among the first subdivisions in the metro (although they are not gated communities, nor exclusive). Quezon City’s newest business and commercial area, Libis began to develop with the construction of the C-5 Road to help decongest EDSA Highway. Eastwood City, an IT centre, is key to Libis’s growth. There are some good neighbourhoods in Libis, along with commercial establishments along the C-5, especially near Eastwood. Eastwood City is a hub for financial and telecommunications companies. It was designed as an IT cyberpark, and has attracted more than 80 firms, mostly in the IT and IT-enabled industries. It is within driving distance of the best schools and colleges in the metropolis. Located along C-5 Road, Eastwood City was envisioned as a self-contained community in a 16-hectare property, with high-rise buildings for residential, business and commercial use. The presence of several IT firms has also attracted a multitude of shops and restaurants to the area. The area is alive at any given time of day and night owing to the number of call centre firms here. This in turn has encouraged restaurants to stay open 24 hours a day. The area was developed by the local developer, and many of its budget-brand residential buildings are here.